Daily Mail - Would YOU pay £25 for a can of fresh air? Three women claim a daily intake has improved their energy levels, health and looks. Until recently, Sue Clifford was constantly tired, yet found herself lying awake late into the night. Meanwhile, her once-trim figure had greatly altered. ‘I had to come off HRT two years ago due to the cancer risk, and the effect of stopping was awful,’ recalls Sue, 58, an accounts administrator. By chance she came across an unlikely treatment she swears cured her of these symptoms almost instantly — without drugs or lifestyle changes. Sue is one of a growing number of women who say they get a mental and physical boost from inhaling oxygen. It was once a fad followed mainly by celebrities — Simon Cowell reportedly raved about its anti-ageing properties. Now ordinary women are catching on, and seeing benefits ranging from increased energy to better skin, and fewer headaches. Sue, of Orpington, Kent, explains: ‘I first heard about inhaling oxygen at a department store’s beauty showcase, and thought I’d give it a try.’She bought a 22oz can of 98 per cent pure oxygen and started inhaling it for up to four minutes in the morning, before and after work and before bed. ‘I bought one flavoured with frankincense and grapefruit. As soon as I breathed it in, I felt uplifted and energised,’ says Sue, who now buys two to four cans a month at £24.99 each. 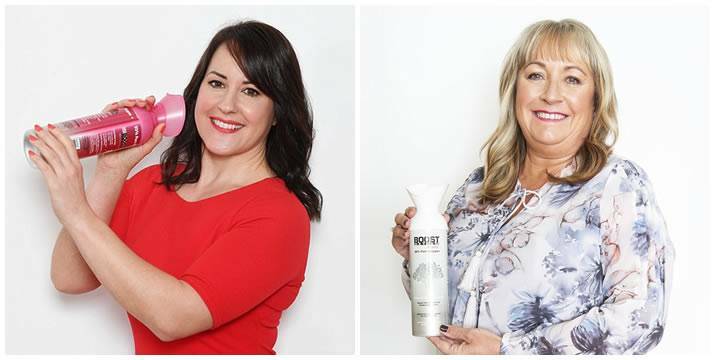 Louise Rose, 41, a personal trainer from Maidstone, Kent, insists sniffing oxygen three times a day clears her mind and increases her efficiency at work. She buys one £17 can a month. ‘I lead a very busy life and sometimes I’d wake in the mornings, look at my packed diary, and feel overwhelmed. But now when I feel that way I take a few puffs of oxygen and it makes me feel I can cope better,’ she says.